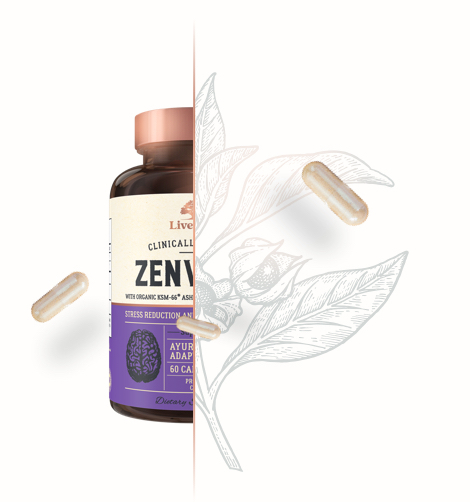 ZenWell™ combines clinically proven KSM-66®, the highest concentration, full-spectrum ashwagandha root extract on the market with Suntheanine®, a proprietary and pure L-Theanine amino acid, backed by more than 50 clinical studies. These two potent ingredients unite to reduce stress and anxiety, increase sleep quality, improve brain health, and boost energy, so you can live well. 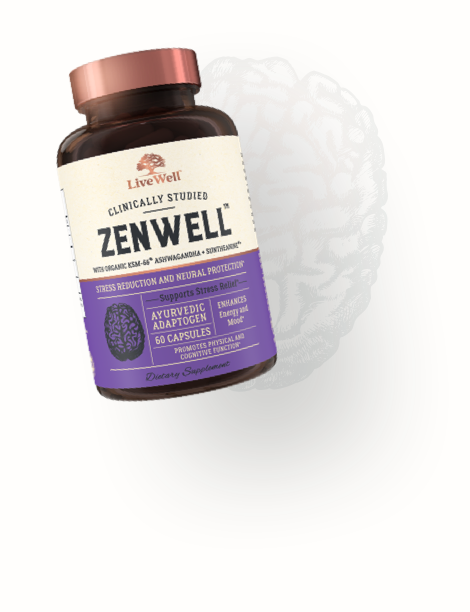 Improves learning performance, heightening mental acuity, promoting concentration, reducing negative side effects of caffeine, and supporting the immune system. Ashwagandha is the flagship herb of Ayurveda, the traditional system of medicine from India. This herb has been known for centuries to help promote a healthy response to everyday stress, over-work, and fatigue, as well as support normal levels of mental clarity, concentration, and alertness. KSM-66 is the highest-concentration extract on the world market today that is drawn using only the roots of the ashwagandha plant, a meticulous process that took 14 years of research and development to create and refine. Certified organic by the USDA, KSM-66 has been evaluated in 13 “Gold Standard” randomized, double-blind, placebo-controlled, human clinical trials, and scientifically-proven, high-potency, full-spectrum extract.